Change is afoot. There has been much talk over the past couple of years about setting up a postgrad system that will give the postgrad community a stronger voice to influence change on campus. This is now a reality! 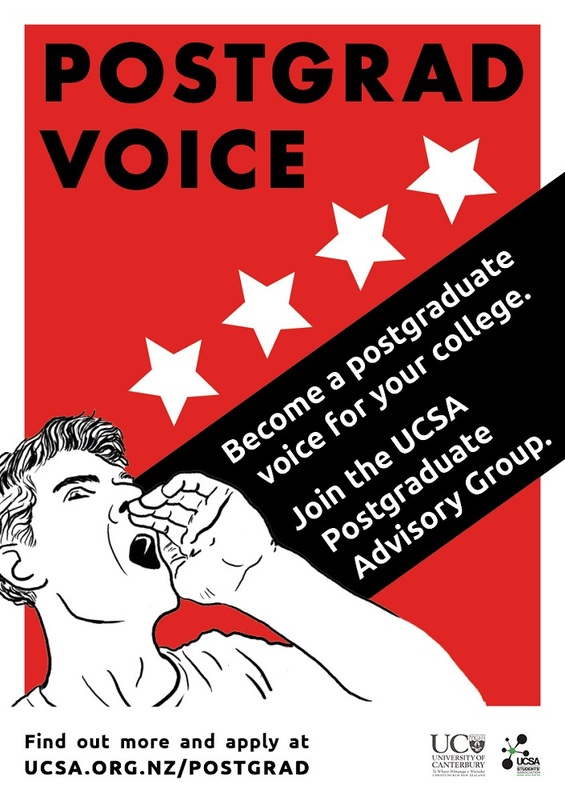 The UCSA is setting up a Postgraduate Advisory Group and we need you. We need at least one motivated student from each College to begin this system. If you would like to be a part of the change you want to see on campus and are inspired to push postgrad issues to make a positive change for your fellow students then head to the UCSA website for more information and to fill out a form registering your interest. We will be holding a Q&A session on Monday 11 September, 3pm – 4pm in the Shilling Club. Come along, enjoy free coffee and nibbles and ask all those burning questions about the new Postgraduate Advisory Group. In the meantime if you have any questions please feel free to contact me on postgraduate@ucsa.org.nz.